Come this February 14th, millions of sweet nothings will be whispered in the ears of many people all over the world, whether they are together, in the same place, or not. So when did Valentine’s Day originate? As far back as Roman times, in fact. Lupercalia was an ancient Roman festival celebrating fertility and occurred every February 15th. This was later changed to the 14th by one Pope Gelasius I around 496 A.D., who made it into a Christian feast day and declared it as “St. Valentine’s Day.” Somewhat of a mystery is the actual saint to which he referred. The Catholic Encyclopaedia cites three (yes, three) early Christian saints who all had the name, Valentine; a priest in the city of Rome, a bishop in Terni (another Italian city), and, last but not least, another St. Valentine of which very little is recorded except that, interestingly, he died in Africa. Quite astoundingly, all three saints were said to have been martyred on February 14th. Because of all this mystery, in 1969, the Catholic Church removed St. Valentine’s Day and all other feast days from its calendar that had obscure or doubtful origins. Yet it remains one of the most popular days of celebration across the world. So let us return to Africa (in this article, at least). Is St. Valentine’s Day as popular in Africa as it is in some parts of the world? According to the National Retail Federation, romantics in the U.S.will spend a colossal $18.2 billion this year, with $4 billion solely on jewelry. Admittedly, there some people who will be forced to contribute to that spending total by angry spouses and partners because they just simply forgot what day it was. However, St. Valentine’s Day celebrations in Africa are very much a huge affair for many, though possibly not on the same financial level as of those in the U.S. Certainly, St. Valentine left behind something special in Africa. Obviously, as with any major continent, some places are more celebratory than others. 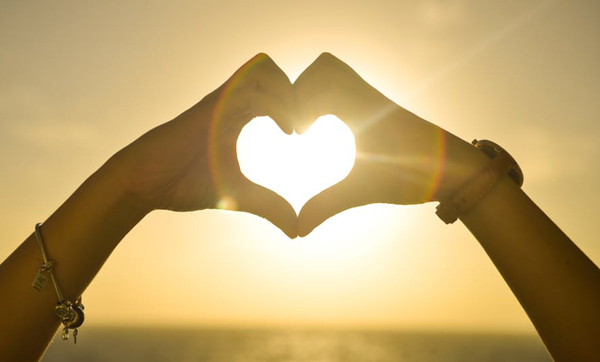 In this article, we will look at how Africa celebrates Valentine’s Day. We will also look at international calling data, supplied by the team here at VIP Communications, that shows how different African countries stay in contact with their loved ones abroad. Rising majestically into the African sky is Mount Kenya, the second highest in Africa after its near-neighbour Kilimanjaro. It is from this mountain that the Republic of Kenya gets its name. That forever snowy peak is a far cry from the temperature endured by the vast majority of Kenyans, as Kenya is definitely equatorial in climate. Mirroring those rises in temperature, last year saw a 28% rise in the number of international calls to Kenya on St. Valentine’s Day, a significant peak in itself. If Kenya’s main export is anything to go by, Kenyans understand the role flowers play in our lives. 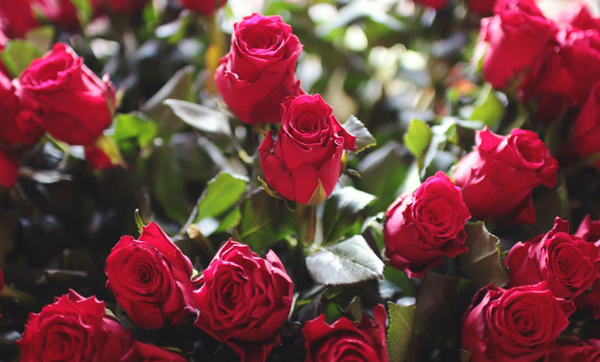 In fact, wherever you are in the world, if you present roses to your Valentine this year, there is a pretty high chance they grew and flourished in Kenyan soil. For example, Kenya’s flower export industry is so strong, every third flower sold in the European Union will have come from there. In 2013 alone, Kenya exported 125 tons of cut flowers, famed globally for their ability to last and endure, and valued at a very impressive $507 million. But does that make the people of Kenya romantic? It’s a well-known fact that Kenyan women are some of the most beautiful in the world. 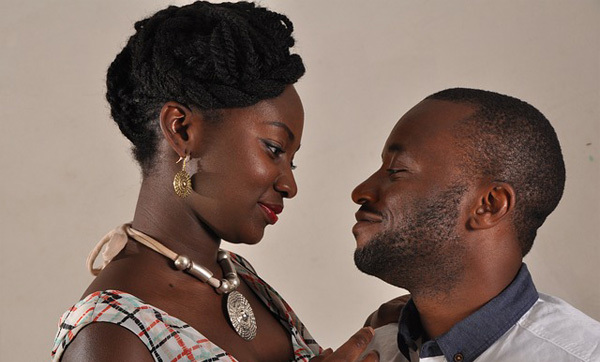 Kenyan men need to be some of the most romantic in Africa if they wish to find love with their ideal woman. From giving flowers (even when it’s not Valentine’s Day), to dancing together in the kitchen as he is preparing a special meal, to simply watching the sun go down together. Kenyan sunsets are some of the most beautiful in the world. This writer has been fortunate to see a few of them. Yes, true romance is also alive and well in Kenya. "This is love: to fly toward a secret sky, to cause a hundred veils to fall each moment. International calling also in Sierra Leone saw a 22% increase on Valentine’s Day alone. Do the young and in love of this west coastal African country even have the time to think about romance, given the country’s recent past, and specifically on Valentine’s Day? If you wish to present beautiful jewelry to your loved one on Valentine’s, the Sierra Leonean man can simply start digging, for the ground is rich in diamonds and gold. Sadly, and due to many factors, the average person has not seen the benefit of such natural riches that lie beneath their feet. However, the real gems are the amazing restaurants in the capital of Freetown. So put down the shovel and pick up the phone to reserve a table at one of these: the wonderful Mamba Point Lagoonda, the Crown Express or Gina’s - all have great ratings and provide a romantic setting for that all-important Valentine meal (when you are finally together, that is). The cultural life of those who live in Sierra Leone is quite distinct. The majority of people live a very traditional life, predominantly based around agriculture and subsistence farming. Religion and local chiefs provide the social stability now, by preserving customs, in particular, local music and dance. It is also customary to give small tokens of affection and appreciation wherever possible - a culture that translates well into the world of love and romance. If you’re a Sierra Leonean man, best remember this - the women of your country look for 5 particular qualities in their perfect partner - he is generous with his time, he’s compassionate, he learns from mistakes made, he’s straightforward, and he better be able to laugh at himself. Covering just over 22,000 square miles, Togo is by far one of the smallest of the African countries. However, last year, it saw an increase of 20% in international calling for Valentine’s Day only. Being a predominantly French-speaking nation, the words “Je t’aime...” will be said many times this Valentine’s Day, in person and over the phone. Again with a life and culture based around agriculture (being sub-Saharan, Togo has excellent growing seasons), the country has a relatively high standard of living for Africa, due mainly to its rich phosphate deposits and economic handling. However, unlike a diamond, a lump of phosphate doesn’t necessarily signify romance, does it? And the wood carvers of Kloto don’t exactly help Togo’s romantic cause as they are renown for the symbolic “chains of marriage” - a beautifully carved work depicting two people joined together by rings, but made entirely from just one piece of wood. Men from Togo certainly have their work cut out when it comes to finding the perfect partner and beginning a life together. Because of the traditional “bride wealth” (given to the bride’s family as part of the marriage) and levels of unemployment, many men simply cannot afford true romance. This has resulted in something known as “pseudofamilies.” In this situation, the husband stays with his parents and the wife with hers, including the children (if they get the chance to create any). They stay apart, forever hopeful of the day when times change, their fortunes improve and they can afford a house together. With love, there is always hope. Bizarrely, there was actually a 34% decrease in international calling last year on Valentine’s Day for South Africa. But how does this reflect on Valentine’s Day celebrations there? South Africa celebrates the day with extreme verve and vigour - yes, Valentine’s is exceptionally popular, not only among the locals but also with the thousands of tourists who go there for its romantic setting. Remember the ancient Roman festival of Lupercalia mentioned earlier? One tradition of that was for young women to literally pin the name of their lover on their sleeve (as in the old adage to “to wear your heart on your sleeve”), and the young women of South Africa still do the same. In fact, in some areas, many young men do it too. Just like at Christmas time, celebrations start way in advance. You will find beautifully-smelling flowers and unique African-made love tokens in the markets and shops. South African hotels and clubs begin week-long parties of celebration. The luxurious resorts offer the very best in romantic sunsets; in fact, one of the most popular destinations for locals and tourists alike is the little coastal village of Hermanus, a unique spot for the watching of whales and the holding of hands. Valentine’s Day in the U.K.
“Doubt thou the stars are fire, doubt that the sun doth move. On a somewhat smaller scale than U.S. spending for Valentine’s Day, but still very high, is the U.K., with around £1 billion spent last year (predominantly on food and gifts). However, the U.K. saw a decrease of 32% in international calls on Valentine’s Day. The tradition of anonymity still continues there, with many cards sent signed simply with a “X” or a “?”, even if they are from the recipient’s spouse or partner! The most popular gifts to give on Valentine’s Day are chocolates, flowers (usually red roses), champagne, and lingerie.... 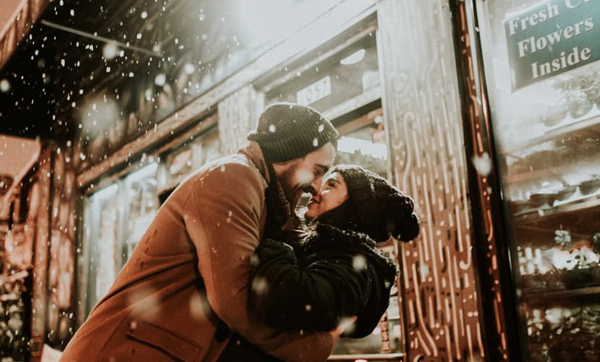 Couples also make plans for romantic meals or a night in a hotel, even a short break away, either in the U.K. or abroad (the romantic city of Paris, France is now just a short train-ride away from London). Finally, and speaking of London, many flock to Piccadilly Circus for photo opportunities with the Shaftesbury memorial fountain, which many believe, though quite wrongly, to be a statue of Eros, the Greek god of love. “I got a Valentine's Day card from my girl. Which is just like her. Alexander Graham Bell, the inventor of the telephone, filed his patent application for it on St. Valentine’s Day in 1876. Men, on average, spend twice as much than women do. 50 million red roses will be given or sent around the world. Soon after the demise of St. Valentine (whichever one of the three he was), legend has it that his jailer's daughter planted an almond tree close to his grave. Today, the tree is is a symbol of everlasting friendship and love. It was believed to be bad luck to sign a Valentine’s card in Victorian England. As an alternative to Valentine’s, if you have no-one who loves you, you can celebrate (on your own) Singles Awareness Day (or SAD, for short). The Roman goddess of love, Venus, was said to consider the red rose her favourite flower. Sweethearts, the iconic candies with little messages, were first produced in 1866 by the New England Confectionary Co. 10 completely new messages are created each year; unsurprisingly, “Tweet Me” and “LOL” are among the more recent ones. Kisses, made by Hershey’s, can thank the machines that make them for their name - apparently, it’s the noise made when they are created. Which Country Was Called The Most? 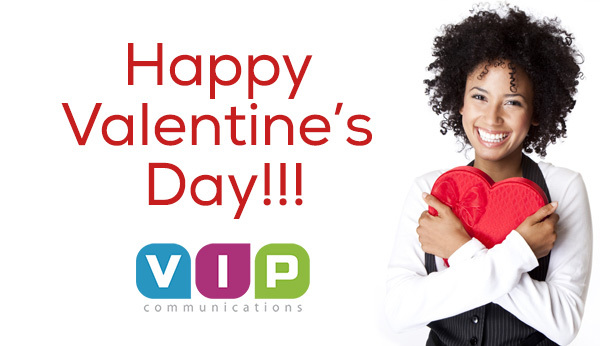 What Can VIP Communications Do For You To Ensure You Stay In Contact With Your Valentine This Year? Dedicated to ensuring you stay connected wherever you are in the world, VIP Communications is a leader in global telecommunications, providing our customers with services ranging from high quality, but cheap international calls to international mobile recharge. In fact, only last week (and to show we are just as romantic as everyone else), we gave away gift cards and free calling credit as part of our Valentine’s Day Giveaway. So how do you celebrate your Valentine’s Day with your loved one? Will you, like many, have to attempt to bridge a vast distance between you just to whisper those tender sweet nothings? Please feel free to leave a comment below. So, all that is left to say is this: Have a great Valentine’s Day with the one you love and, if you can’t be together, never forget those whispered sweet nothings.